The memorial is in the form of a narrow slab of granite with a gable top on a single base. Incised into the front is a Confederate soldier who is wearing a kepi military hat, bed roll over one shoulder, and holding a musket. The rear has a pair of crossed flags in color. The flag on the right is the Confederate flag of North Carolina and the one on the left is the Confederate national flag. 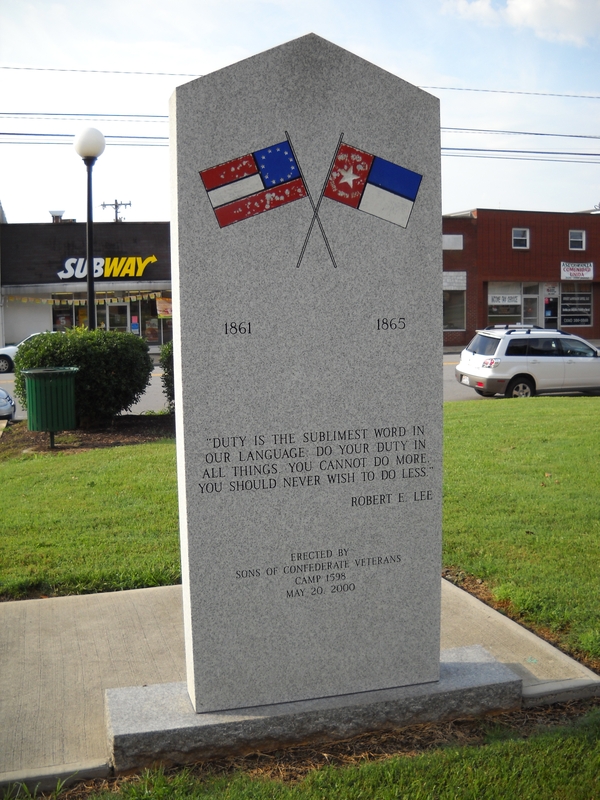 The memorial is located at the old Surry County Courthouse, 141 Main St. Dobson, NC. 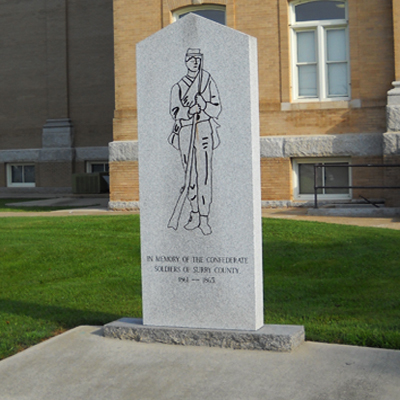 It stands on the lawn on the east side of the building across a sidewalk to the left of the Surry County War Dead monument. 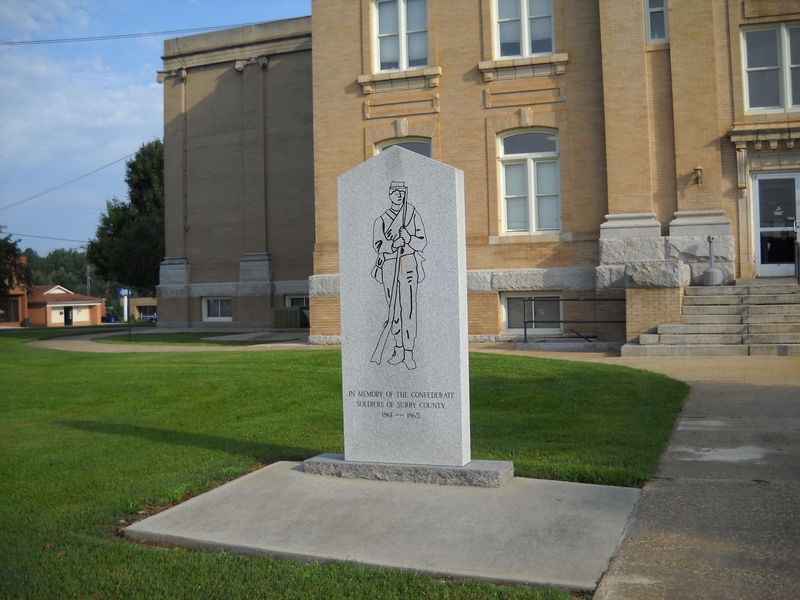 The Surry County World War I Memorial is located on the north side courthouse. The memorial stands on the front lawn of the courthouse building.